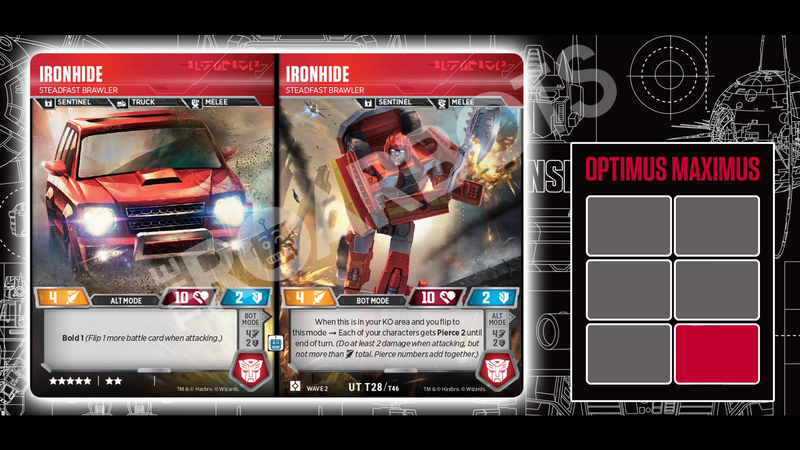 More Combiners enter to the Transformers Trading Card Game Wave 2 “Rise of the Combiners” expansion! 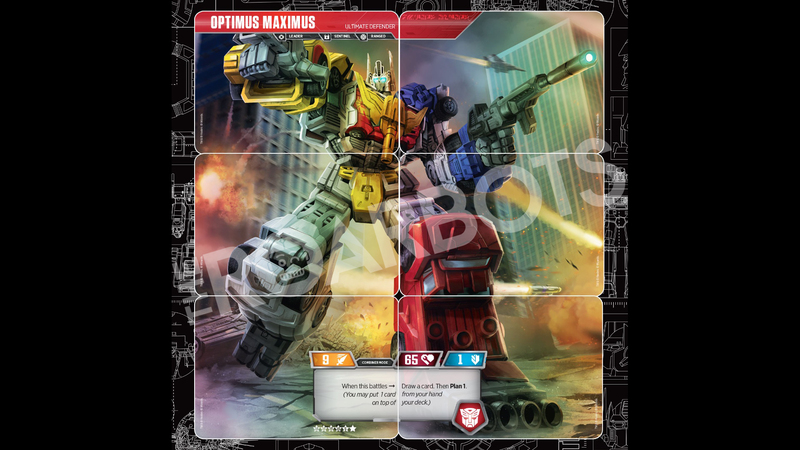 Via The Roarbots website we can share for you the Optimus Maximus Cards! Gather your cards to form one ultimate unit of immense power. 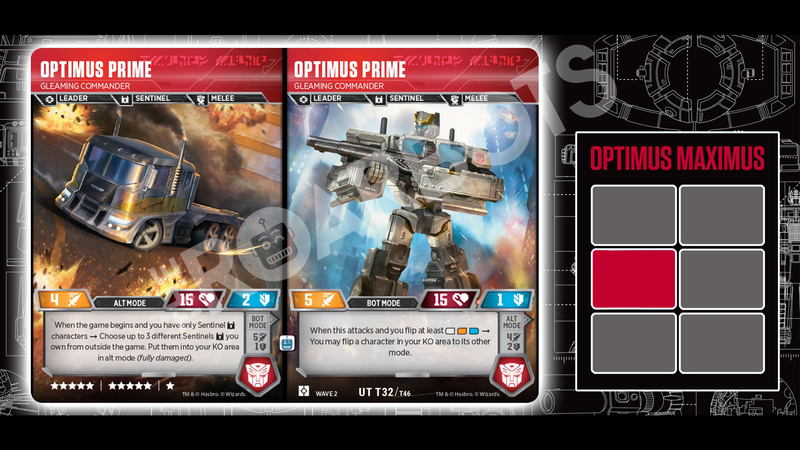 we have the combined cards forming Optimus Maximus, Ultimate Defender (as seen in the IDW comics), as well as the individual cards of Ironhide, Hot Rod, Mirage, Sunstreaker, Prowl, and Optimus Prime (in white deco as his Combiner Wars Power Core Optimus Prime toy). 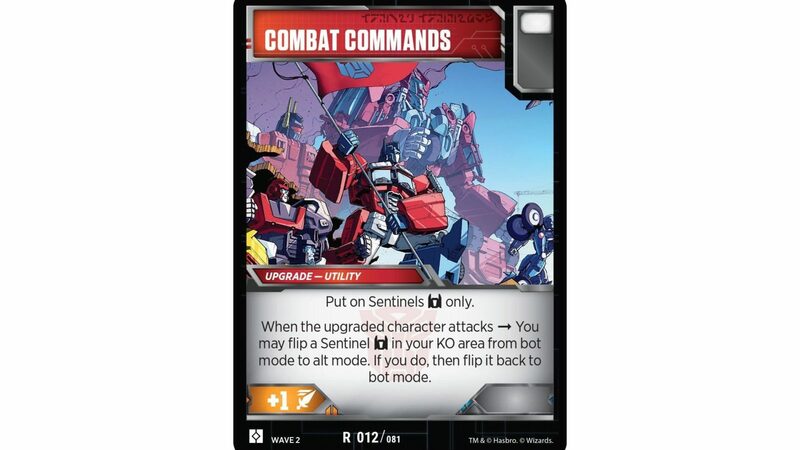 Additionally, we have a look at the Sentinel Enigma Card which is necessary to form the combiner once you get all the individual cards. 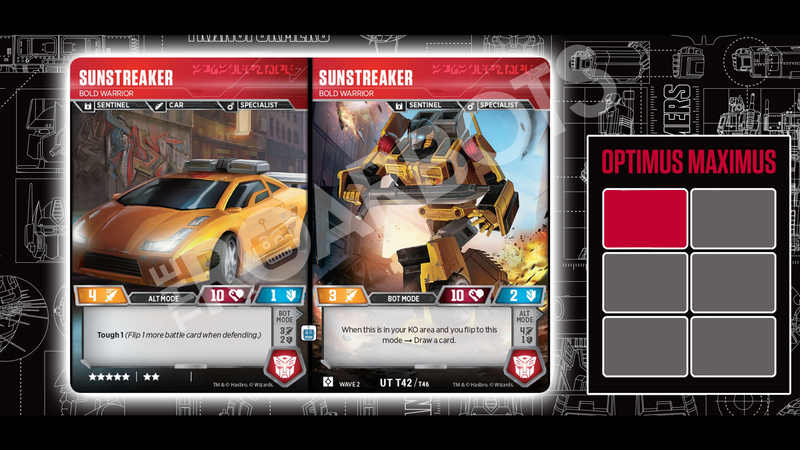 So that’s four out of the six announced combiners revealed for this expansion. We have reported the cards of Predaking, Volcanicus and Menasor. Who is next? You can share your predictions on the 2005 Boards! Click on the bar to see all the cards! Because there was already a Combiner Wars Magnus? 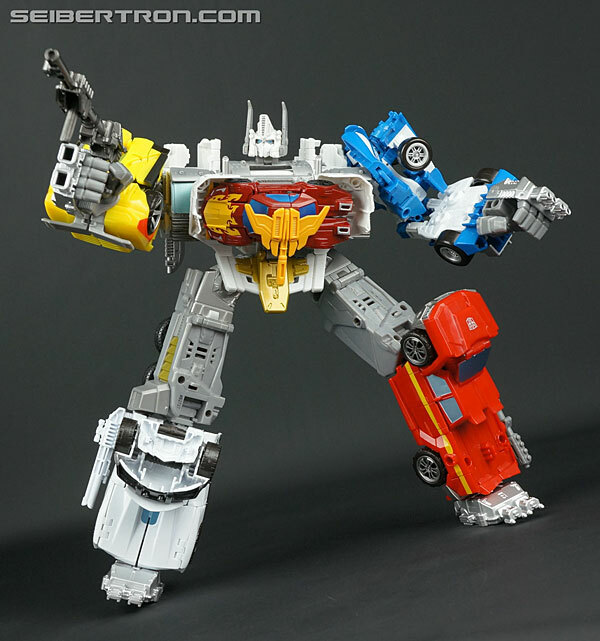 So… There was also already a Combiner Wars Optimus Prime as well that was actually in G1 colors and this was just a white repaint of that same figure which usually means Ultra Magnus. Actually he kinda looks like Nova Prime minus the wings so why not give him some new parts and actually call him Nova Prime since we've never gotten an official toy of that character and a lot of people seem to like him. 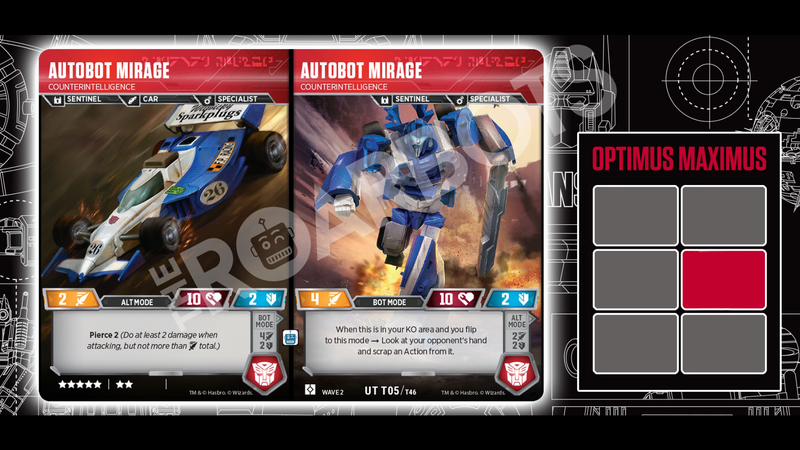 I thought that too… Also I understand that the card is a white Optimus Prime as a reference to that toy but I don't understand why the toy itself is white and not called Ultra Magnus. Oh my bad, I read "White OP, WTF?" as "Why is OP white?" I get that they always try to find new ways to sell toys, but I truly believe that they should not do this with this card game or else we are going to have multiples of the same character when important or even other characters could be taking the spot. I also feel that if they continue to do this or if they decide to do characters based on the live action versions, then this game will die so fast. Its a shame because I really want to continue to support this I mean come on out of all the possible characters in the transformers mythos especially fan favorites, lets do some that was based off a past transformer wave toyline ,white optimus maximus. Where is Soundwave and the Cassettes, Blaster, Devastator, ,Ultra Magnus,Trypticon? etc. Heck why not include some beast wars characters, I don't know. They can even come up with new mechanics for headmasters,targetmasters, triple changers,etc. the possibilities to keep this game thriving and exciting for fans is endless, its decisions like this that will end the game quick. In my honest opinion though, the art could have been a little nicer for these as well. The problem isn't that WotC is doing something here that they've done in MtG and has worked for them for decades. The problem is this fandom. Many amongst this fandom continuously see this card game as an extension of the toy figs and show – singular characters. And of course the typical "I want to see X character! ME ME ME, NAO NAO NAO"
This is a Card game, a WotC card game at that. How many iterations are there of the same character? Look up the Magic the Gathering's Planeswalker Jace, Nissa (sp? ), or many of the other planeswalkers and your jaw will drop with how many versions of them there are. It's the same for this tcg. Add that Hasbro is the deciding factor on what characters they want to see released in said sets (be them a different version of ones we've already seen). What does that mean for characters we want to see and haven't yet? That we need to be patient for their time will come, and odds are will see multiple versions of most of them. The game is no danger of dying soon. This is a terrible addition. Especially since we know there will only be 6 combiners in this set. Such a waste. Additionally, most of the individual bots have cards already. I am bummed to be getting another Ironhide, Prowl, etc. so soon when there are hundreds of other characters not getting a card at all. Cause Cybertron was made for the WHITE BOTS! It's also been four years since Menasor, but you're not whining about him. Not a fan of this combiner to be honest. I would have preferred WoTC keeping with the classics – Bruticus, Menasor, Devastator, Superion, Defensor with room for Computron, Predaking, etc. This whole CW gimmick with Prime and other autobots is just WEIRD to me……..not a fan of dinobot combiner either, but hey, I'm an OG old school type of guy. But also, why did they opt to have optimus be melee in vehicle mode instead of truck like with Motormaster? Maybe it's a typo in the graphic? Because I also question why he's "Melee" in bot mode while clearly holding a rifle. I'm more than familiar with the concept, and I never said he was g1, I said I was glad they were adding non -g1 just why this? Is not like it's going to sell the 3-5 year old toys. Wait… How come Hot Rod is included as part of the Optimus Maximus combiner but there's no Blackjack card for Menasor? Blackjack is visible on Menasor's chest in the card art so what gives? 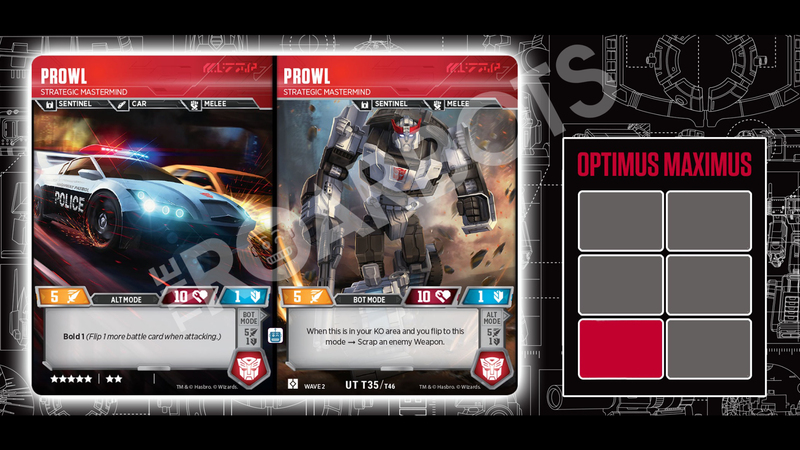 Also it seems like the cards are forming random parts of the combiner now. With the sets of five it looked like each character actually turned into that part of the combiner but with Optimus Maximus you got the right arm and most of the torso all on the same card and at card that has the combiner head isn't even the Optimus Prime card, it's Sunstreaker. 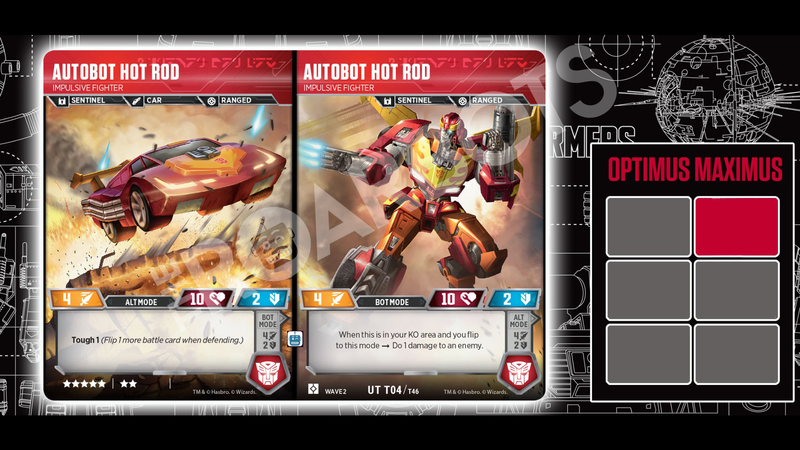 I kinda get it, having a six character combiner doesn't exactly work as neatly in card form but I thought that was why they left Blackjack out of the Menasor set, because keeping it to the core five characters looked better as cards… but then they go and put Hot Rod in the Optimus Maximus set anyway? WTF? I think they should either do Menasor the same way including Blackjack or exclude Hot Rod from Optimus Maximus. Pick a style and stick with it, don't do both. I suppose Truck not Melee will not become the new Trukk not Munky. I don't really follow this game. Is it normal that alt-mode Optimus is not classified as a truck? My other guesses are of course Dirge at 22 and sports 2 and 3 are “Airielbot x” and Airielbot Y”. With those characters not many gestalts can actually fit the free spaces left. Superion is obviously there, and Powerglide might not be a part of him this time, but the final one is tricky. I think it might be either Sky Reign with Ratchet and Smokescreen, but no Hound, or a FOC-inspired Ruination, where Impactor gets some prefix.